This herbal skin lotion based on Tibetan medicine, helps restore the balance of “Baeken” (phlegm humour), the manifestation of Earth and Water. It helps stimulate the energy channels of the body, alleviating stress and insomnia caused by cold disorders. It also moisturizes the skin protecting against dry skin rash. Apply on the face, body, hands and soles of the feet, gently massaging into the skin. 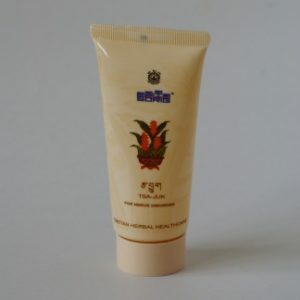 This herbal skin lotion based on Tibetan medicine, helps restore the balance of “Baeken” (phlegm humour), the manifestation of Earth and Water. It helps stimulate the energy channels of the body, alleviating stress and insomnia caused by cold disorders. 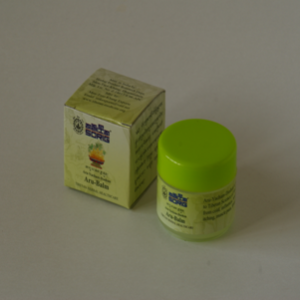 It also moisturizes the skin protecting against skin rash. Apply on the face, body, hands and soles of the feet, gently massaging into the skin.